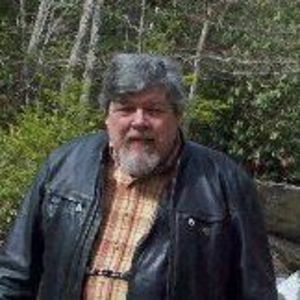 MADISONVILLE, TN - William Lee Rose, 65, of Madisonville, TN, passed away Saturday, August 25, 2012. He was born in Oak Lawn, IL on June 18, 1946. He proudly served in the United States Marine Corps and was an engineer at General Motors for 30 years. In retirement he enjoyed hiking and fishing, and loved to go out on his ATV, his Harley, and his boat. He was an active member of the Laurel Lakes Community where he enjoyed his work on the board. He was preceded in death by his parents, Rev. Bobby Joe Rose and Etta Murl Rose. He is survived by his son Casey Rose (Monica), and his two daughters, Kimberly Rose Hallstrom (Jason), and Michelle Rose Leong (Dave). He loved his five grandchildren: Skyla, Autumn, Olie, Oriana, and Eli. He will be greatly missed by many other family members and friends. Funeral services will be held on Thursday, August 30, 2012 at Tucker Funeral Home in Central City with visitation from 10:00AM - 12:00. The services will follow immediately at 12:00 noon with the interment at Rose Hill Cemetery. 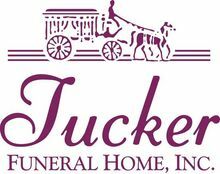 Online condolences may be made at www.tuckerfunrealhomes.com. My deepest sympathies to Bill's entire family. What a great guy he was. We all got to meet Bill several years while taking a cross country motorcycle tour. He got hung up here in Texas for awhile.We all developed a life long friendship with him, and have stayed in touch throughout the years. I am sorry I didn't find out until today that he had passed. I am sure you have many memories of Bill. They are yours always. God Bless You All!!! RIP my friend. Wish we could have all taken another motorcycle ride together. Ride free in the heavens Bill, and someday we shall meet again!!!!! As you know your Dad was a special man. He enjoyed life and was more fun than the law would allow. I like this quote because this is how he lived his life and wouldn't have done anything any different. Take care and know he loved you and your children with all his heart. Your Dad lived his life as this quote describes. "Life should NOT be a journey to the grave with the intention of arriving safely in an attractive and well preserved body, but rather to skid in sideways, champagne (beer) in one hand - strawberries (sausage and biscuit) in the other, body thoroughly used up, totally worn out and screaming "WOOHOO - What a Ride!" Remembering Billy Rose as a man who loved life and lived fully! Remember the good times always ! I was so very sad and sorry to hear of your loss.... Billy was such an amazing man !! He was so much fun at the Staples cousins reunions... I remember staying with his family when we were young (my parents were Charles and June Staples) and how much fun we had with him and Aunt Murl ! I have some good pictures of those days! HE will be missed by many !!!!! Your family is in our prayers !!! May God Be with you all during this time !